Free download Lost Place PC game. 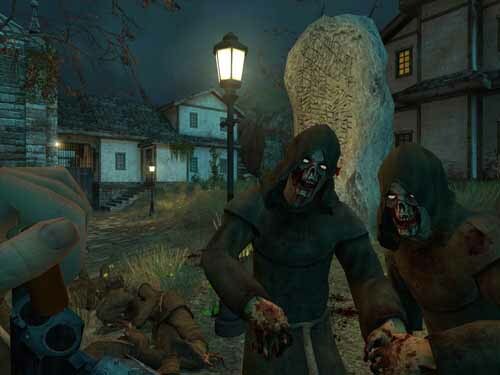 It is a horror based action game and developed by Myplaycity. If you love to kill the zombies then it is the best game for you to shoot and kill them all and save the humanity. If you are lover of horror movies then you should try this game. You’ll face a big crowd of zombies they are very violent. A disaster is happened in a small town and virus is spreading all over the town. There is an explosion happened in chemical factory and all people turned into blood thirsty people. You are the only one who can save the uninfected people in Lost Place. You have to hurry to find the laboratory where it started and destroy that factory to avoid the acid and virus spreading. A lot of zombies will come in the way and try to kill you but you have to save yourself from them and kill them all. Your town is just a testing area where it started and nuclear weapons are created and that nuclear explosion turned you native place into a dead space.